LOOK: Chile's Calbuco volcano amazing and unbelievable photos, erupts for the first time in 42 years - Balita Boss! The Calbuco volcano in southern Chile has erupted for the first time in more than 42 years on Wednesday, April 22 2015. Chilean authorities evacuated around 4,000 residents of the nearby Ensenada district, according to the Chilean government's official Twitter account. President Michele Bachelet declared a "constitutional emergency" due to the eruption. Calbuco is located in a sparsely populated area of the Los Lagos Region and is considered one of the top three potentially dangerous volcanoes in Chile. 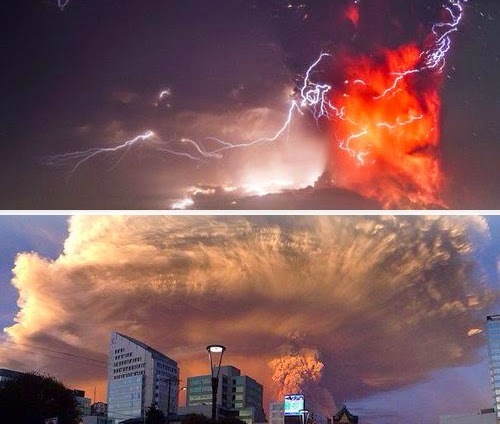 Checkout some of the amazing and unbelievable photos of Calbuco volcano shared on online social networking services.